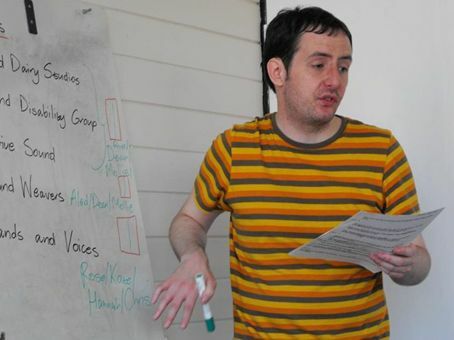 Among our collaborations with community groups are two projects Colm is working on this week. Firstly, he’s working with local film-maker John Phillips, in conjunction with KhaoZ Media, in documenting Ebor Vox, a choral celebration of 800 years of York’s status as a self-governing city. Involving around 700 singers from local musical societies and performing groups, Ebor Vox is a centrepiece event for the city’s Charter Weekend, based on a specially commissioned song set to words by winners of a city-wide poetry competition. In the build-up to the main performance tonight (Monday 9th July), forming a procession from the Minster to the Eye of York, Colm has been interviewing key participants in Ebor Vox. So far, he’s spoken to Artistic Director, Stephen Burke; Composer, Benjamin Till; and members of the various choirs contributing to the performance. As for tonight, Colm’s main task is recording as-live commentary on the day of the procession; which will form part of a film on Ebor Vox, scheduled for publication in the Autumn. 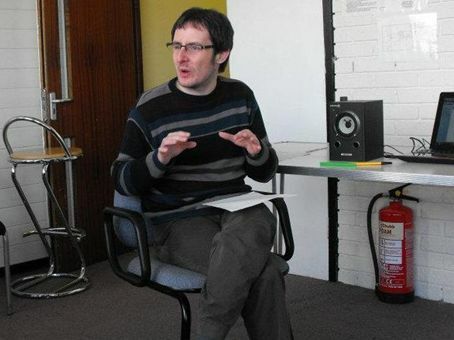 The second project upcoming for Colm this week is assisting the AbleWeb Radio group to develop, record and produce a podcast which celebrates the 30th anniversary of its parent organisation, Accessible Arts and Media. So far, the group has interviewed AAM staff past and present about their memories of their work, which will be intertwined with a selection of archive audio material gathered by AbleWeb Radio down the years. With the support of AAM staff, Colm has helped edit a five-minute package based on what we’ve prepared so far for the podcast, which will be played at the organisation’s celebratory event this Wednesday, 11th July at the Guildhall. It’s hoped the final podcast will be ready to download later this month. These two projects continue the dedicate commitment to working with York-based community arts and media groups which The Creative Condition has nurtured, and will continue to nurture in the future.